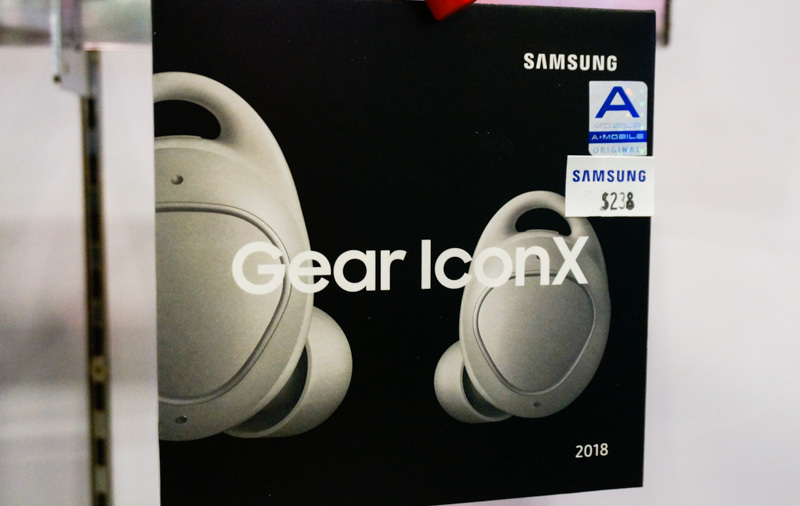 Samsung has their true wireless earbuds for sale at the show, and as you can see, the 2018 Gear Icon X is going for just $238.00 instead of the usual of $268.00. That's a pretty good price for true wireless headphones, and a good deal overall considering they come with 3.4GB of internal storage so you won't even need to use a separate player. 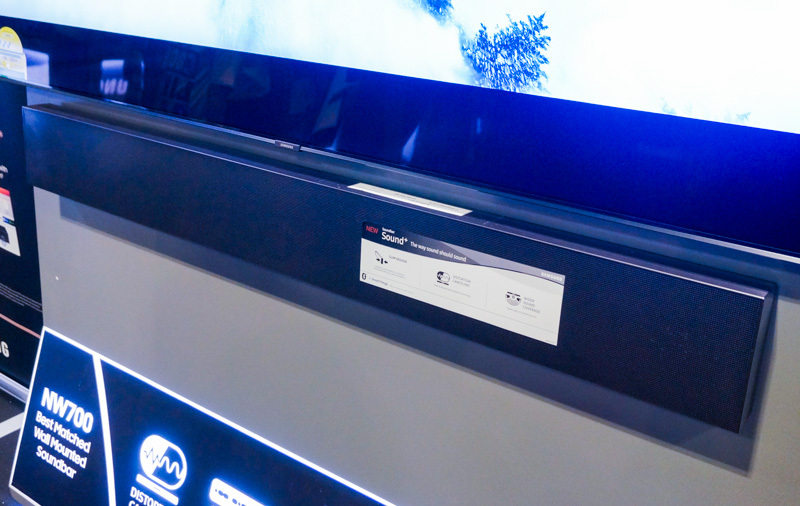 If sound bars are more your thing, do check out the HW-NW700 you see here. 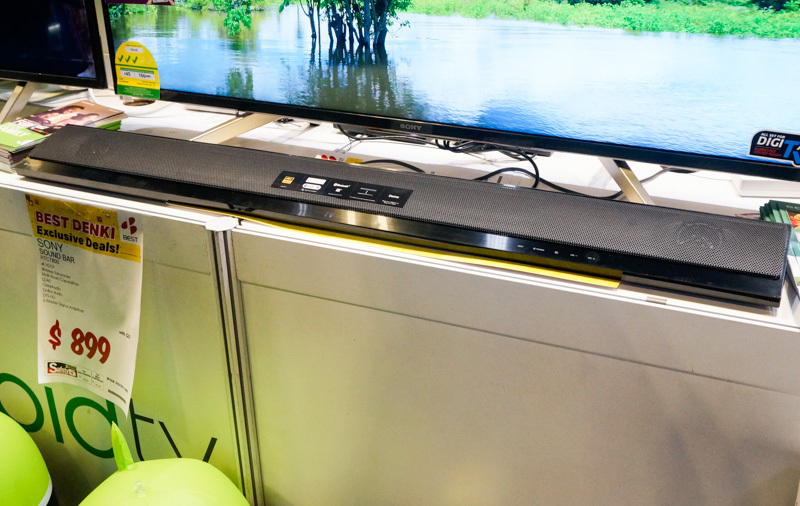 It's a wall-mounted sound bar that features multi-array speaker control technology and has an integrated subwoofer for fuller sound. It's going for just $799.00 at the show, down about $500 from the usual price of $1,299.00. You can also look at the HW-N650 you see here. This is can be had for as low as $549.00 instead of the usual price of $1,099.00, a great bargain considering there's a dedicated center speaker for clearer vocals and a Game mode that's optimized for gaming. Another great deal to be had, Sennheiser's Momentum Wireless over-ear headphones are going for a show special of $399, down a massive $300 from the usual price of $699! These use Bluetooth 4.0 for a more stable wireless connection, and come with NoiseGard hybrid active noise-cancellation so you can focus on just your music. Find out more about them here. If noise-canceling is requirement, check out the PXC 550. 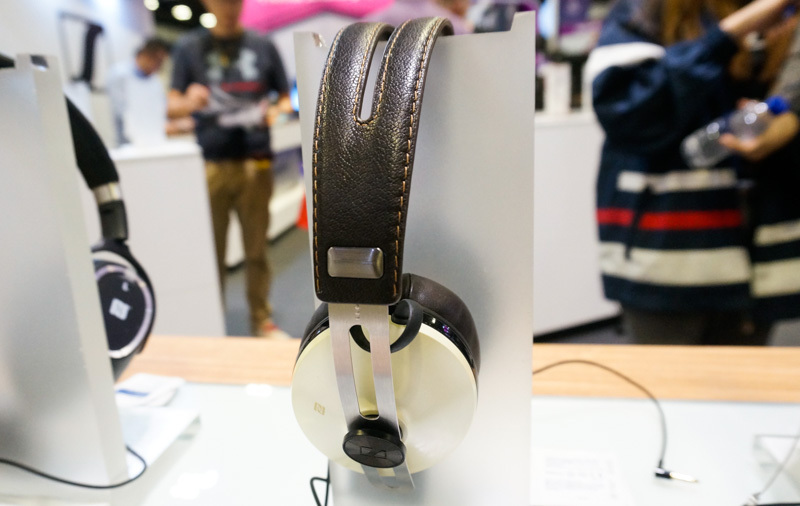 These impressed us greatly in our wireless headphone shootout last year, and can be had for just $449 at the show, down $200 from the usual price of $649, a great deal for these classy headphones. 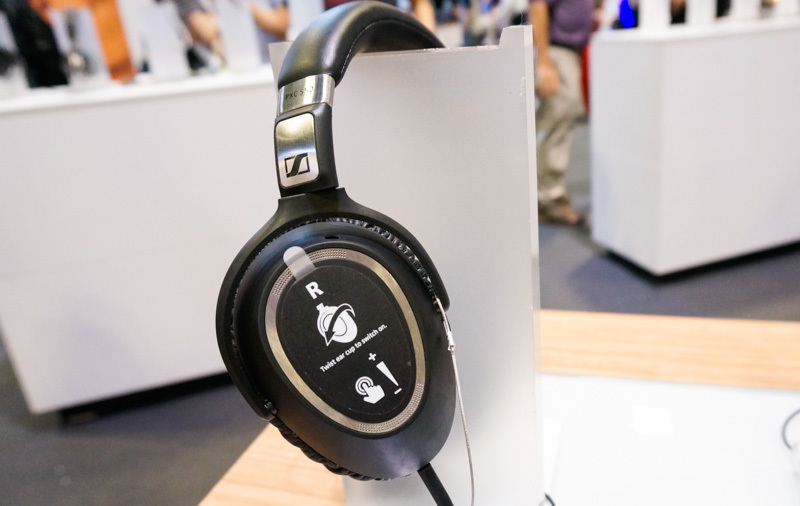 We're told that you can get an extra 10% discount off all headphones if you sign up for Sennheiser's membership at the show, so do register before you buy! Of course, Sonos is at the show too, and they've got their latest Sonos Beam out on display. No discount for this yet of course, but you can combine it with the Sonos Sub and two Play:5s as part of their 5.1 Home Theater bundle (Beam) for just $3286.00 instead of the usual price of $3446.00, a savings of about $150. Otherwise, there's always the Sonos One smart speaker. This is going for just $299.00, down $30 from the usual of $329.00. And you can always include them in any bundle for a smart assistant enabled sound system. 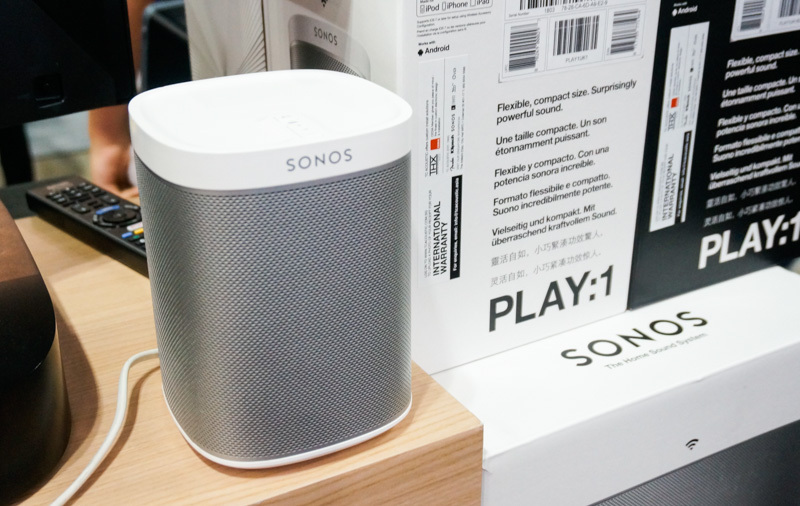 Read up on the Sonos Beam here, and find out more about the Sonos One here. 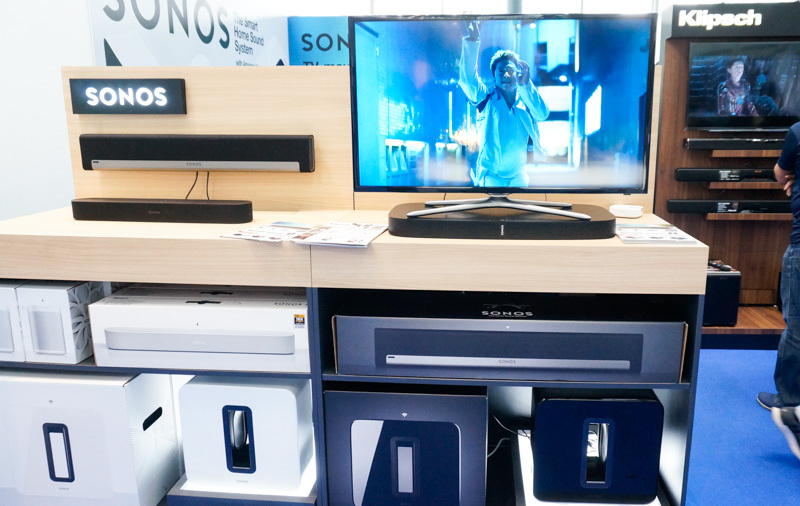 Do pop by the Sony booth if you're looking for a new sound bar, as there are great deals to be had. 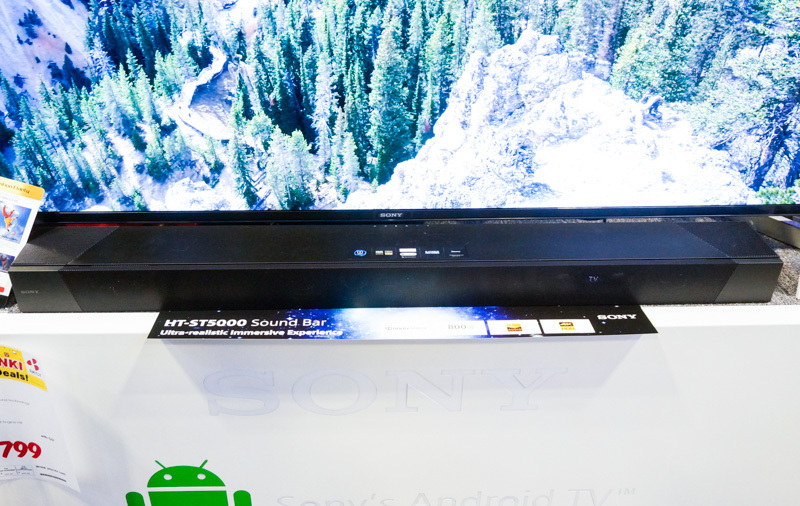 The HT-ST5000 you see here for example, is a Dolby Atmos-capable sound bar that produces 7.1.2 channel sound. It's going for $2,199.00 (after cashback), down about $600 from the usual price of $2,799.00. 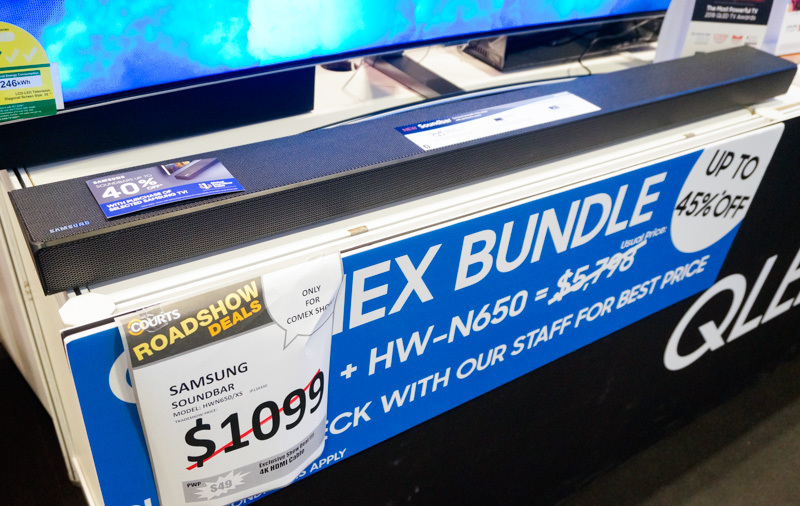 If you're will to take the display set that can be had for just $1,799.00! Of course there's only one display set available, so hurry down if you want it. If not, look at the HT-CT800. This sound bar supports 4K HDR and uses Sony's S-Force Pro Front surround for quality surround sound. It's going for just $679.00 (after cashback), down $200 from the regular price of $899.00. The display unit for this is also available, and that can be had for $499.00. 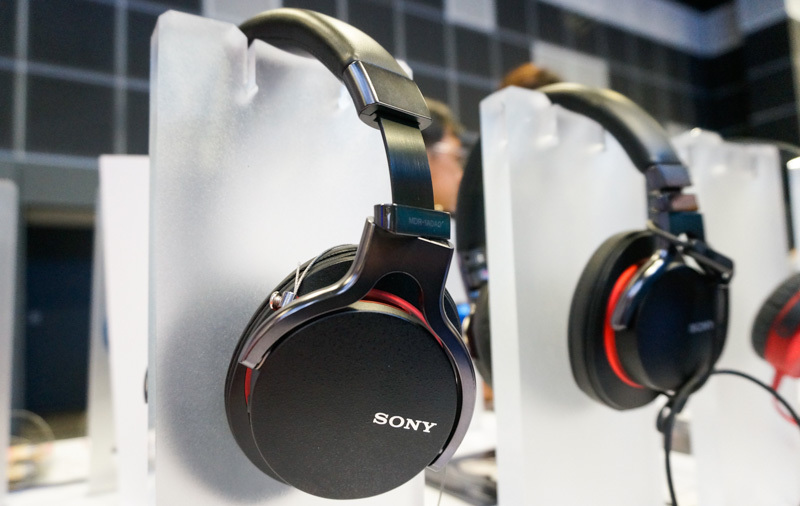 If headphones are more your thing, look at the MDR-1ADAC. These are built for High Resolution Audio and have an integrated USB DAC for better sound on the go. They're going for just $329.00 at the show, down $170.00 from the usual of $499.00. 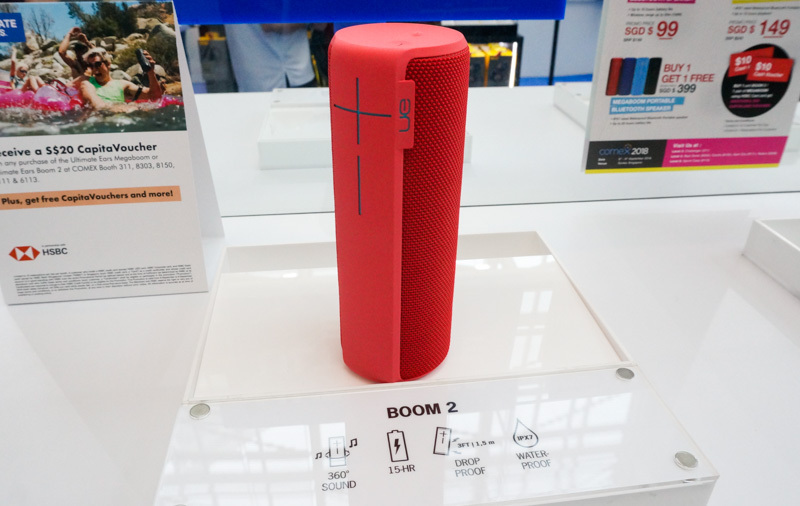 One of the star buys for Ultimate Ears at Comex 2018 is the Megaboom you see here. 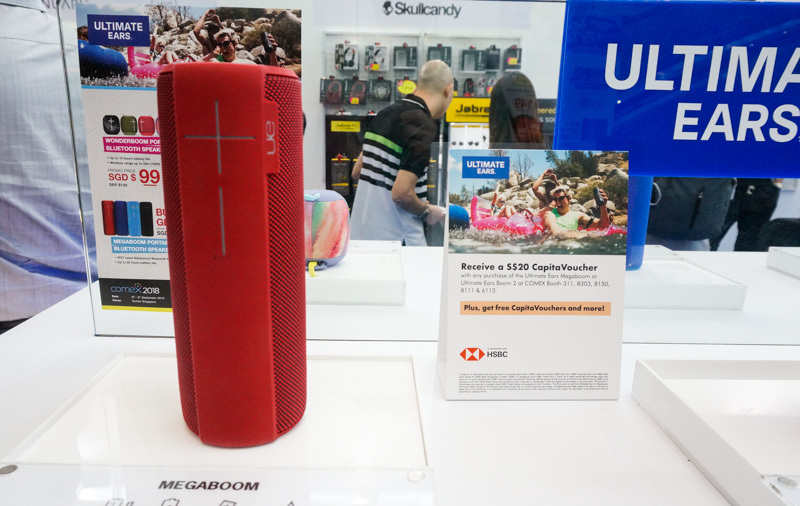 It's an IPX7 rated waterproof Bluetooth speaker that has up to 20 hours of battery life. Get one for $399.00 and you'll get another free! The first 10 customers to use their HSBC card to pay, will get an additional $20 Capitaland voucher thrown in too, so grab a friend and enjoy the savings! If the Megaboom is a little too much for you, there's always the smaller Boom2. This is also IPX7 waterproof, and is drop proof from up to 1.5m. It's going for a show special of $149.00 instead of the usual of $249.00, a savings of $100. Looking for a portable speaker that gives you good sound? 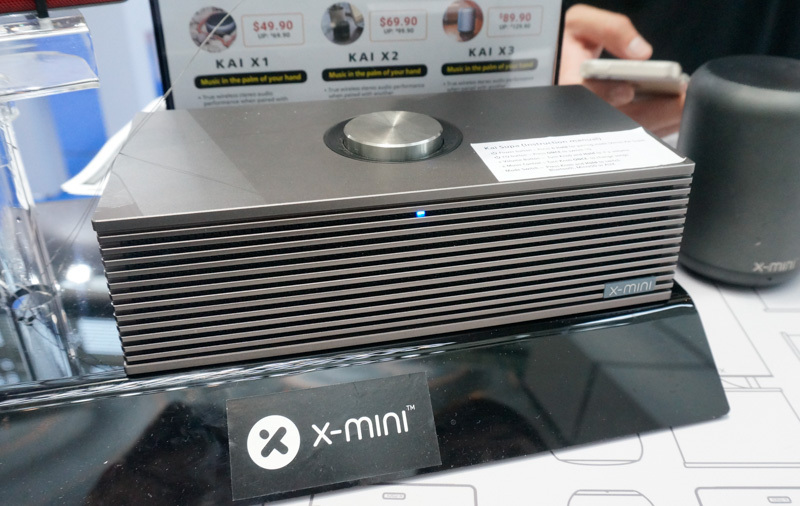 Check out the X-mini Supa. This is going for just $149 at Comex 2018, down some $60 from the usual price of $209.90. A fantastic price for this portable speaker that features a swivel-dial control and has built-in DSP and DPAC technologies for better sound.